Zimbabwe has the largest skills base and qualified resource base in the Southern African region and highest literacy rate in Africa at 98% according to the report by Zimbabwe National Statistics Agency, 2014.This is higher than that of South Africa at 92% and Kenya at below 80%. Strong commercial links within SADC and its main trading partners, South Africa and China. Abundant natural extractable resources and farming infrastructure with potential to attract high inflows of Foreign Direct Investment. Politically stable since gaining Independence in 1980. Considered one of the safest Countries’s to live and work in Africa, and has the highest growth potential in Southern Africa. The southern African region has a power capacity shortage of over 8,247MW (Southern African Power Pool Annual Report, 2015, page 5) and an additional 1,500MW required per annum each year over the next 20 years if SADC is to achieve the Industrialisation Strategy that all SADC member countries have signed up to. Planned transmission expansion projects within the Southern African Power Pool will provide additional capacity to be transmitted across Zimbabwe and the wider SADC region. The ZIZABONA, MOZISA and EAPP – SAPP interconnector projects are now at advanced development stages. These projects will drastically improve energy management and flows in the region and across the pools to East Africa, thereby opening up more markets for energy trading and improving access to power for the under-developed communities. 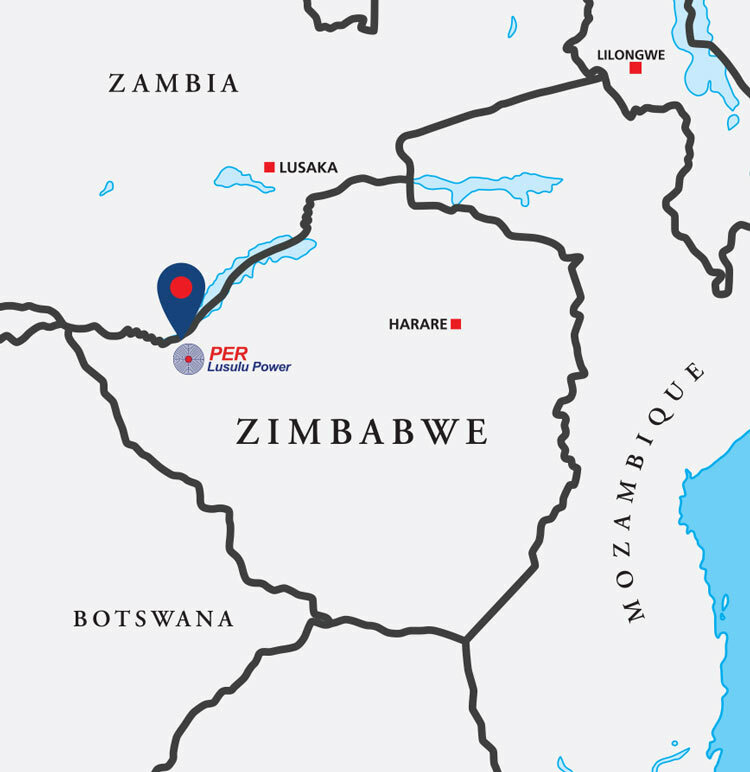 PER believes this project will contribute towards ending extreme poverty in the affected communities and the country as the project will build human capital and create social safety nets that reach some of the poor and most vulnerable communities within the Binga district.